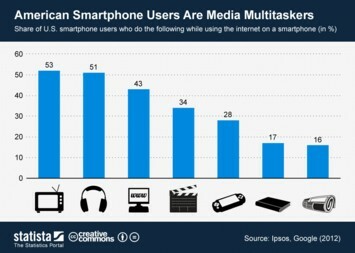 Remember the days when you could just kick back in front of the TV and watch sports, a movie or your favorite TV show? 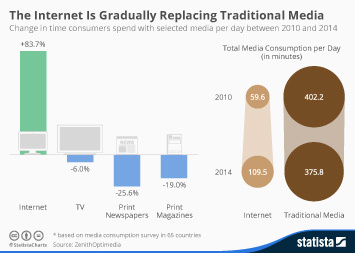 Well, apparently these days are over. 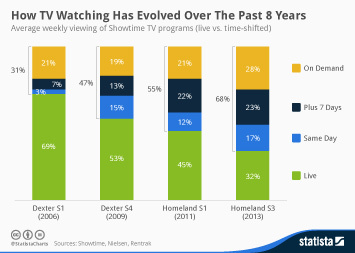 According to research conducted by Deloitte, watching TV is no longer enough to keep most Americans entertained. 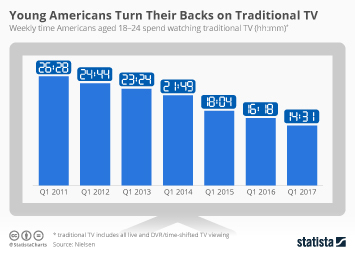 In the survey conducted in November 2014 no more than 1 in 10 Americans stated that he or she usually does nothing else while watching TV. 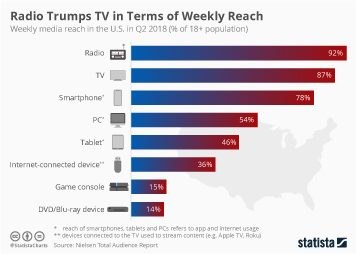 The vast majority surfs the web, writes emails, text messages or even plays video games while watching (more accurately: not watching) television. 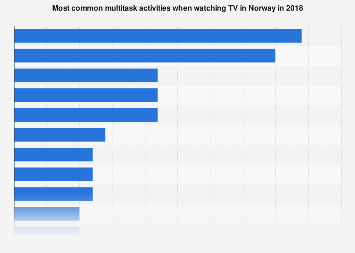 According to the report, those aged 14-25 are the most avid multitaskers, typically engaging in an average of 3 additional activities while watching TV. 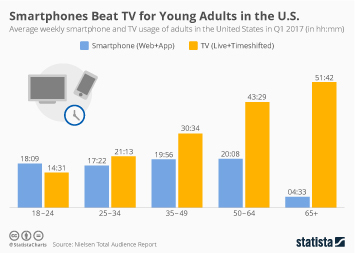 While young Americans like to browse the web, send texts and use social networks, older generations are more likely to write and read emails when they get bored of the TV program. 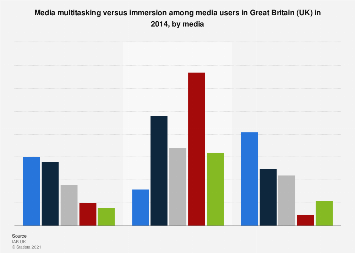 This chart illustrates which activities Americans typically engage in while watching TV. 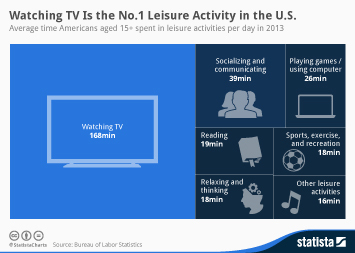 Watching TV Is the No.1 Leisure Activity in the U.S.